Recognizing that complexity calls for innovative, conceptual, and methodological solutions, Dealing with Complexity in Development Evaluation by Michael Bamberger, Jos Vaessen, and Estelle Raimondo offers practical guidance to policymakers, managers, and evaluation practitioners on how to design and implement complexity-responsive evaluations that can be undertaken in the real world of time, budget, data, and political constraints. Introductory chapters present comprehensive, non-technical overviews of the most common evaluation tools and methodologies, and additional content addresses more cutting-edge material. 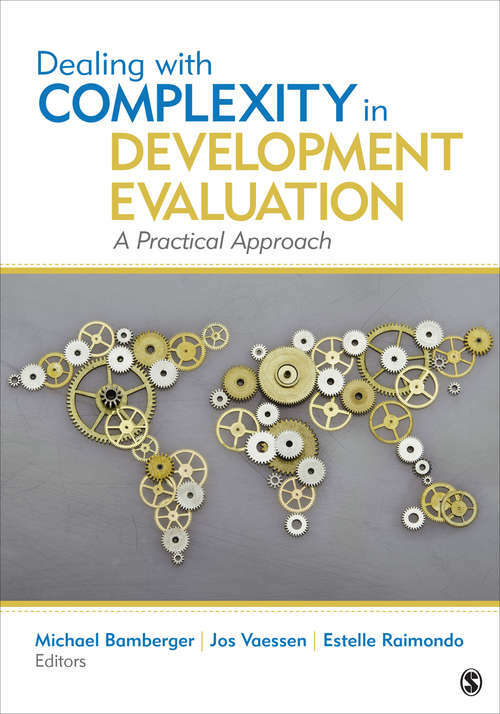 The book also includes six case study chapters to illustrate examples of various evaluation contexts from around the world.